Miami is a bustling city rich with cultural heritage, an international hotspot where people work hard but play harder. With outstanding weather and an eclectic mix of activities, Miami is a great destination to host your next event. To help event organizers find the perfect Miami event venue, we've compiled a list of 30 unique event venues ideal for a corporate gathering, conference or networking event! The Eden Roc Miami Beach can host your next business event with its 70,000 square feet of meeting space including the Mona Lisa, Pompeii and Ocean ballrooms. You can also take advantage of the Eden Roc's 25,000 square feet of outside meeting space overlooking stunning gardens and pools. Pullman Miami Airport offers 11,000 square feet of spectacular indoor and outdoor meeting spaces featuring stylish decor. It offers elegant banquet halls, private outdoor terraces, an Art Deco Monte Carlo Ballroom and six parlor meeting rooms. Perhaps most importantly, is conveniently located for those traveling. The Langford is found in the heart of contemporary Downtown Miami. Showcasing a white oak floor and stylish Khouri Guzman furnishings, The Langford flaunts meeting rooms that combine the downtown Miami location with the amenities of a high class hotel. With 10,000 square feet of indoor and outdoor space, The Hall is a boutique hotel that has an ambiance with the combinations of 1940s Art Deco classic and bohemian South Beach. The Faena Hotel Miami Beach was conceived by Alan Faena and designed by award-winning film director/producer Baz Luhrmann and four-time Academy Award winning production and costume designer Catherine Martin. There are a few event venue options to choose with the Faena, from the Sun Bar at the Pool and Beach to the Faena Forum to the Faena Theater. The Marseilles Hotel has beautiful indoor and outdoor spaces that are perfect for your special event, whether your needs are grand or intimate, formal or relaxed. The Ballroom is well suited for banquets, celebrations and cocktail receptions for up to 100 guests. For certain events, you can gather under the sky in one of their outdoor spaces. From an exclusive gathering to an important meeting or a lavish press event, SLS South Beach is a great option for hosting your next event. You can choose from a full range of services and more than 25,000 square feet of flexible Philippe Starck-designed event venues and Lenny Kravitz-designed Penthouse Suites. From high-profile meetings to intimate events, the Mandarin Oriental can cater to all manner of occasions. The event spaces in this hotel provide top notch locations that also overlook the ocean - providing fantastic views for event goers. 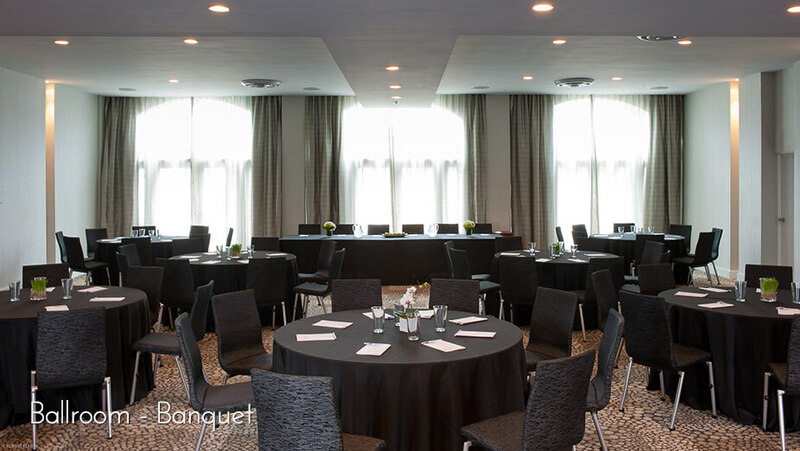 The 35,000+ square feet of space at The Confidante offers space for creative meetings and events. With spaces that can accommodate anywhere from 10 to 1,000 attendees, you’ll find the ideal set up for your event in the heart of Miami Beach. This venue is ideal for accommodating high-level meetings and elegant banquets. The amenities include a versatile meeting space and an 18,000 square foot Metropolitan Grand Ballroom, a business center, 3 Concierge levels and concierge lounge. This locale also features a few unique options like a bowling alley, basketball court, and golf school. EAST, Miami offers 20,000 square feet of function rooms and outdoor venues. All spaces feature floor-to-ceiling windows, complimentary WiFi access, the latest audio-visual equipment, and technical support. Event spaces include a 3,300 square foot ballroom, The Crush, two 1,600 square foot event spaces, Rise and Set, an 850 square foot boardroom, High Noon, workshops and outdoor event spaces. 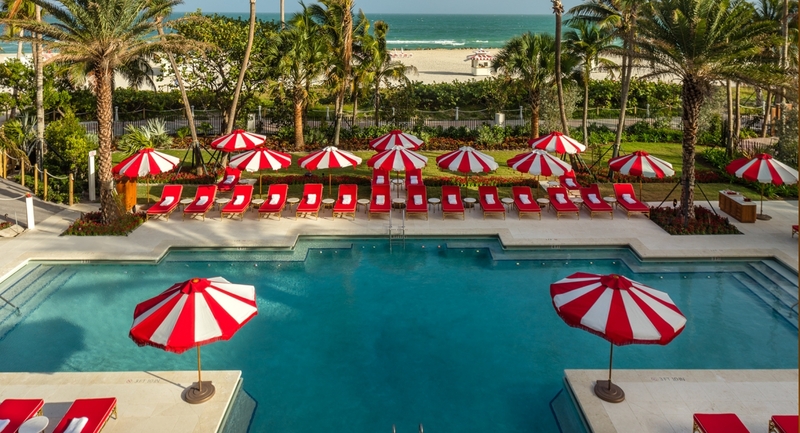 One of the premier South Beach hotel venues, the Sagamore offers 18,000 square feet of indoor and outdoor space, accommodating groups ranging from 10-1,000. Offered are both smaller spaces for intimate meetings and events and more spacious options for bigger crowds. EPIC’s 31,000 square feet of space features a 13,000 square foot pool terrace and 14 indoor meeting rooms, including the Metropolis Ballroom. Combined with stunning views, luxurious and huge spaces, EPIC event rooms will allow your events to rise to success. With more than 101,000 square feet of event space, the Intercontinental Miami, located in the heart of the city's business district, can accommodate up to 3,000 guests. 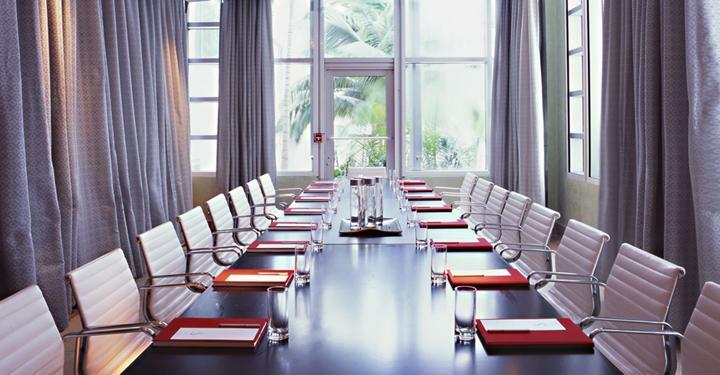 Located in the heart of downtown Miami, the Conrad has over 20,000 square feet of meeting and event space. The Ballroom and meeting rooms provide natural daylight through floor to ceiling windows. The room on level 25 is the ideal private event space overlooking the stunning Biscayne Bay. As the only Full-Service International Association of Conference Centers (IACC)-certified hotel in Southern Florida, the Sheraton Miami Airport Hotel & Executive Meeting Center features 17,000 square feet of purpose-built meeting, conference, or training space perfect for conferences from 30 to 300. It's also the closest hotel to Miami International Airport. This 2016 AAA Four-Diamond resort is a favorite group destination. With magnificent ocean and city views, the resort offers over 200,000 square feet of flexible indoor and outdoor meeting space including a convention center, four ballrooms, a 50,000 square foot Great Hall and 39 individual meeting rooms. STK offers a number of gorgeous event and private dining spaces, enough for 180 guests for cocktails and 108 guests for a seated dinner. Above the main dining room, the mezzanine level has three private entertaining suites for intimate get-togethers, which can be combined for larger events. With a capacity of 400 people, The Event Space features finished indoor and outdoor spaces, full sound and lighting system, air conditioned, spacious bathrooms, white gallery walls and a liquor license. 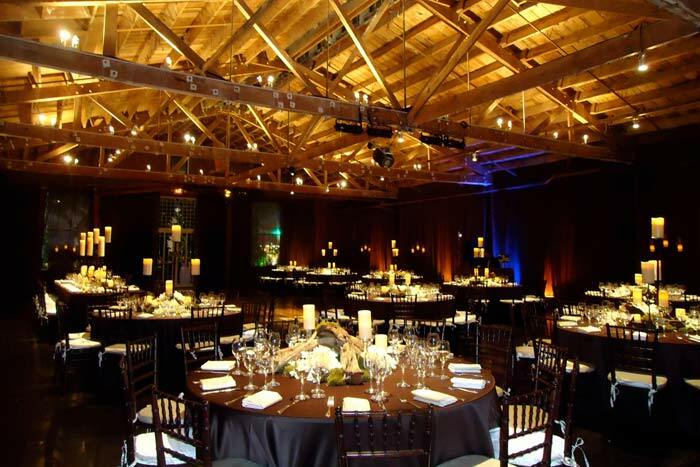 It is a perfect venue for event planners. Located in the heart of the Design District, this historic venue was built in 1921 as the furniture showroom space for Moore and Sons. The central atrium accommodates 4,400 people for receptions and 1,100 for seated events. This convention center is perfect whether you are planning a convention, trade show, or conference. Spanning four city blocks of South Beach, the center encompasses more than 500,000 square feet of exhibition space, 70 meeting rooms with a total of 125,910 square feet of flexible space, and two grand ballrooms with a total of 33,780 square feet of space, and is easy walking distance of the historic Art Deco District. MAPS Production House is home to two of Miami's most beautiful and unique event spaces. From corporate events to workshops and trade events, these stunning and diverse photo studios double as unique event spaces perfect for the organizer planning a trendy gathering. An elegant standalone building that includes 24 foot high ceilings, 5 exquisite crystal chandeliers, wood floors, natural lighting, a 20 foot high illuminated lake fountain and a spectacular view to Hidden lake, Vista Lago specializes in fully catered custom packages for your corporate events. Featured in our 38 Amazing Corporate Event Venues In North America blog post, The Bakehouse Art Complex offers a unique venue for cocktails receptions, private dinners, mixers/networking events, presentations, meetings, and more. This 33,000 square foot building can host groups from 20-1,000. Situated in the Wynwood district., this Miami event space is designed to host functions from small to the extra large. There are spaces available perfect for an intimate event of 150 or a huge gathering of thousands. An award wining corporate event venue, The Temple House holds the capacity for a group between 6 to 600. It features beautiful indoor space (with 25 foot high barrelled ceilings), as well as gorgeous outdoor space for your social or corporate events. Located in downtown Miami, Ice Palace Studios is a 143,000 square foot property that can hold 10,000 people. In season, Ice Palace Studios hosts staple Miami events like Art Basel and Winter Music Conference, in addition to corporate events.The space was rented out as a set for the Tom Cruise film Rock of Ages. Opened in 1939, the Alfred I. Dupont Building has a mezzanine level that is one of the city's most spectacular event spaces. With 22,000 square feet available for everything including high-society events, the DuPont Building never ceases to dazzle attendees with its art deco design. La Jolla Ballroom is an elegant venue located in Coral Gables. This landmark was built in 1928 and its interior has been completely restored and converted into a large ballroom of 6,000 square feet. This Miami event venue can accommodate 220 people seated or 400 standing-cocktail style. 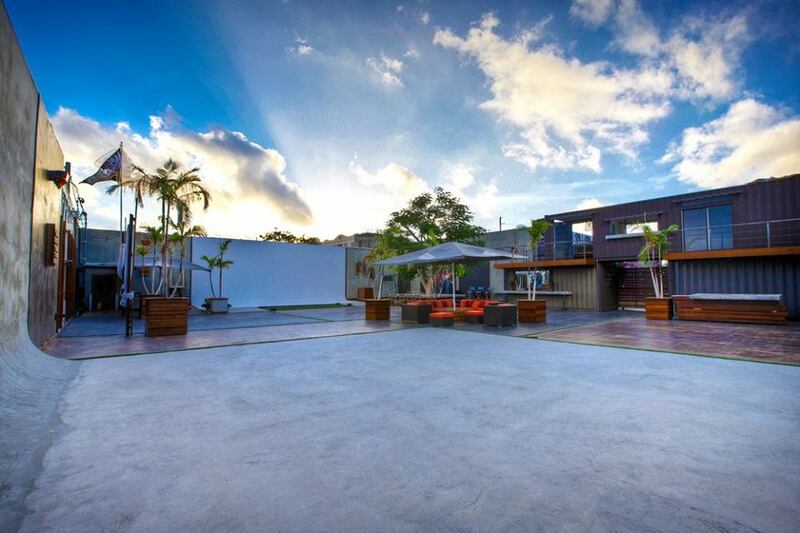 The Private Key Club is A 5,000 square foot Miami event venue situated in Miami's trendy Wynwood District. It's a great venue for networking events, arts shows and more, and features innovative tech touches like project screen compatible walls. Miami’s architectural gem centrally located in the Cultural Corridor and designed by Argentian architect César Pelli, the Adrienne Arsht Center for the Performing Arts of Miami-Dade County has just the right spaces to rent for any occasion. There are many multi-purpose spaces that can accommodate up to 2,400 people with state-of-the-art theaters, beautiful outdoor plazas, elegant private salons and artistically designed lobbies, rooms and theaters. And each customized event is handled by experienced on-site event planners working with the in-house catering and audio-visual team to ensure that every occasion is flawless and unforgettable.